Summer’s heating up and I’m hitting the beach. This past weekend my brother and I headed to Laguna for some classic summertime fun in the sun (yes, I really did just use that phrase). We explored little tide pools and risked our phones lives to get some pictures along the way. AND I ACTUALLY SWAM IN THE OCEAN!! Like fully put my entire body under the water. THAT'S A BIG DEAL! I honestly can't remember the last time I enjoyed swimming in the ocean, feeling the waves pull me in and out to shore. It was seriously a therapeutic experience both physically and mentally. There's really no better cure than salt water. As summer temps rise, I can literally hear the ocean calling my name. Beach days (or weekends!!) are the perfect way to cool off on a scorching summer day, especially if you pack the right beach bag. 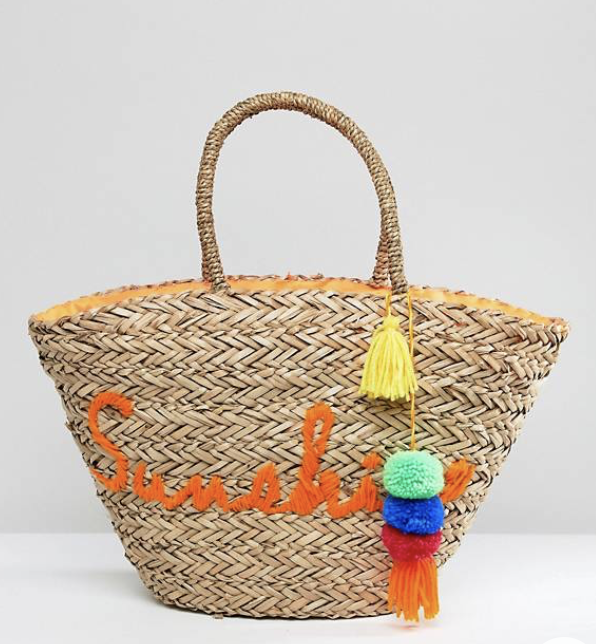 Scroll down to check out my top 10 beach bag essentials, and shop some of the cutest bags that will carry you well into September.